Since the beginning of the Lake Chad crisis in 2015, the Diffa region in south-east Niger has been the scene of significant population movements, and according to estimates, 250,000 displaced people live in spontaneously established displacement sites or villages. Even though the sites provide shelter, they are often characterized by the lack of basic infrastructure and services. The past years have seen a further deterioration in living conditions as humanitarian access to conflict affected areas has become increasingly limited. Almost a year ago, in September 2017, REACH supported partners in gathering information for an assessment on water, sanitation and hygiene or WASH services in the displacement sites in Diffa. The assessment found that available WASH services did not meet humanitarian standards and underscored clear challenges regarding access to the mapped services. The assessment succeeded in filling a pressing information gap on the availability of WASH services, yet did not answer questions regarding the safety of these services, especially in relation to different age and gender groups. In order to build on the previous assessment, REACH conducted a second cross-sector assessment investigating the challenges related to protection aspects in WASH services in the region. Data for the second assessment was collected in May through approximately 1,400 household interviews and close to 50 focus group discussions. Aside from considering the constraints of access to services for girls, boys, men and women, the assessment also examined the services from a disability point of view. Findings of the assessments highlighted significant and continued difficulties in the use of WASH facilities by the displaced populations. One in four households reported difficulties in the use of water points, and one in five of those using latrines noted challenges in their use. The most commonly reported hindrances included the distance to water sources, the strength required to operate pumps and wells, as well as the lack of information on how to use toilets. Furthermore, the assessment noted that protection challenges in the vicinity of water points and tensions between host and displaced populations were most often reported in the regions bordering Lake Chad, where pressure on available resources remains significant due to the presence of a large displaced community. Distribution of households reporting difficulties related to the use of water points. The cross-sector assessment was conducted in partnership with UNICEF and in close collaboration with the WASH Cluster. 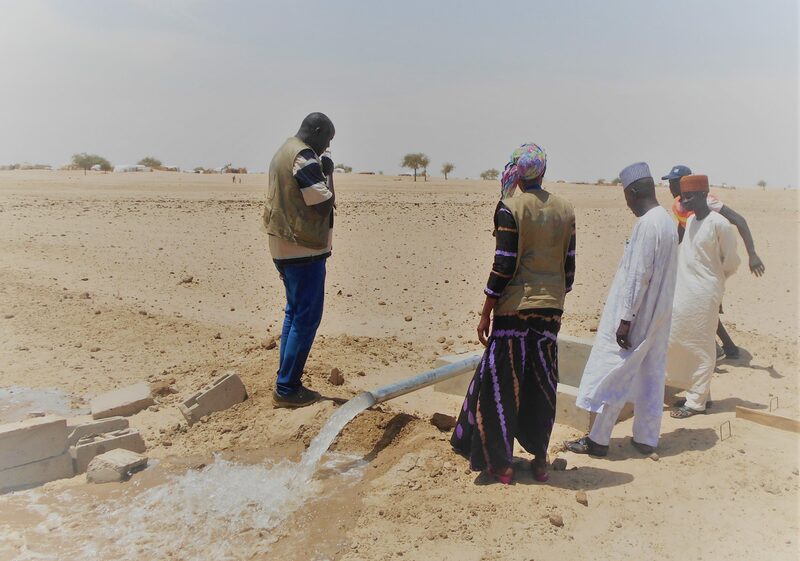 Based on the findings, the WASH Cluster in Niger proposed preliminary recommendations to help humanitarian actors design their response to address the needs and deficiencies highlighted in the assessment. Moreover, the information gather for the report will serve as a base for the designing of trainings for WASH actors. This in turn will support efforts to mainstream protection and gender-sensitivity in all WASH operations. For a more comprehensive overview of findings from the assessment, please visit Niger’s site on REACH Resource Centre and read the full report: Enquête sur les aspects de protection transversale liés à l’eau, l’hygiène et l’assainissement (EHA).